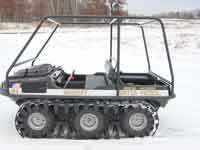 We buy Amphibious ATV machines, parts machines, or extra parts. CLICK HERE!! Click image for more photos. Click image for more photos. Click image for more photos. 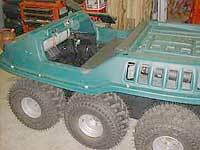 attex, argo, hustler, max, amphicat, serra trail boss, scrambler, coot, camel, jiger, starcraft, terra tiger, cushman trackster, chapparal, rim, swamp fox, Attex,argo, atv,Hustler, Max, Amphicat, Sierra Trail Boss, Scrambler, Jiger, Starcraft, Terra Tiger, 6x6, 8x8, 6 wheeler, 8 wheeler, MaxII, Max II, Max2, Max 2 many names..
Email: richard@route6x6.com | Phone: 812-944-1643 | Hours: 8 am - 6 pm EST M - F only | Snail Mail: Richard Clark • 4846 Quarry Rd • New Albany IN 47150. ©2001 • Please note: Above address is for mailing only. All parts and machines are warehoused at a different location.